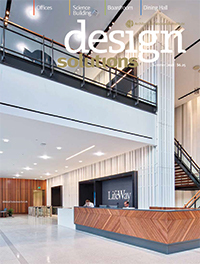 Design Solutions Magazine is the official journal of the Architectural Woodwork Institute. Each quarterly issue showcases beautiful examples of fine architectural woodwork manufactured by AWI Manufacturing Member companies. With stunning four-color images, crisp detailed drawings and thought provoking articles, Design Solutions offers our readers a bountiful resource that's sure to inspire and delight. A one-year subscription to Design Solutions Magazine is $25.00. Design Professionals, Contractors, Owners and AWI Members are invited to participate in the AWI Award of Excellence Program. All winners of this prestigious recognition have their projects published in Design Solutions. Click here for the Award of Excellence Submittal Form.